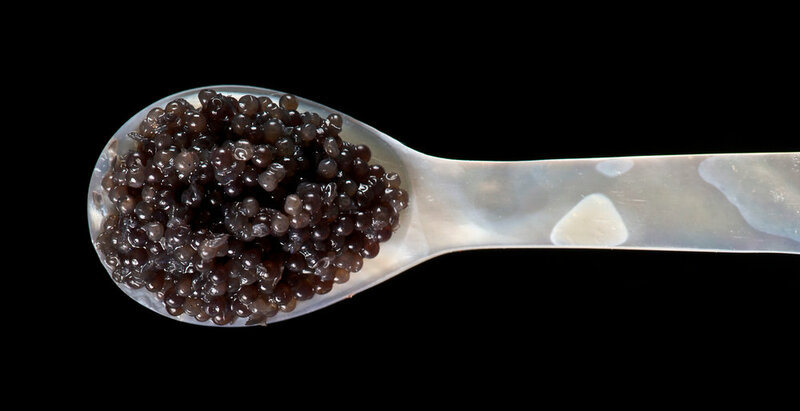 SHELLFISH, CAVIARS, CEPHALOPODS, SEAWEEDS, & MORE. Flavor profile: Firm texture with briny, mineral rich flavor with a sweet melon finish. Flavor profile: Firm yet creamy texture, rich in flavor with a hint of metallic flavor and a slight brine with a buttery-sweet, mildly fruity finish. Flavor profile: Delicate texture and full of mildly briny liquor with champagne notes and a melon and cucumber finish. Grow Location: Rocky Points are a wild oyster growing on the beaches at Sea Fresh Farms in Dabob Bay. 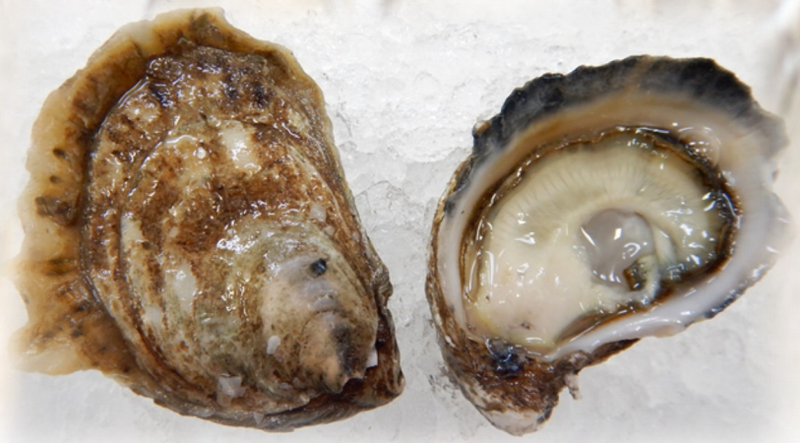 Flavor profile: Slightly briny, savory with a clean, sweet meat. Flavor profile: Briny liquor with hints of watermelon. Fucus (Fucus spiralis) grows in the rocky upper tidal zone. It has long spiraling leaves that end in little heart shaped bladders. The bladders are full of flavor and alginate which makes them amazing for flavoring and thickening stocks and sauces. The leaves are crisp and mild when blanched and have a bright green glow. Cat's Tongue (Mastocarpus papillatus) has an other worldly texture of it sand paper bumps and briny flavors that are surprisingly not very oceanic. This is one that you throw in with rough cut squash, garlic and onions in the sautee pan. In the winter, give it a quick fry, drizzle with olive oil and parmesan and a coal fired thin crust will march through your mind. Chain Bladder (Stephanocystis Osmundacea) lives in the deeper colder water of the Pacific where currents are high. Intricate branches and pod like bladders are both flavorful and make for beautiful presentation. It can be eaten raw but is best served lightly blanched and will turn a vibrant neon green. The uses in the kitchen are endless from salty or pickled bar snacks, a great addition to salads even baked into breads. Feather Boa (Egregia menziesii) is a tough and leathery kelp that has pneumatocysts every few inches that float it up to the surface of the water. 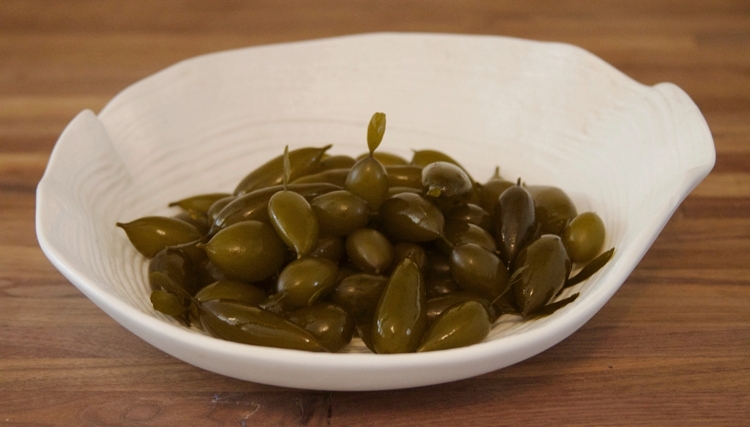 While the main parts of the kelp are not great to eat, these floats, picked one by one, are the olives of the ocean. Quickly blanch them for a crisp texture that pops when you bite them. Slice them into rings and garnish your fish tacos. Brine them to garnish your martini. Giant kelp (Macrocystis pyrifera) thrive on the nutrient rich upwellings along the California coast. Every part of Giant kelp is edible and has amazing flavor and sweetness to it. 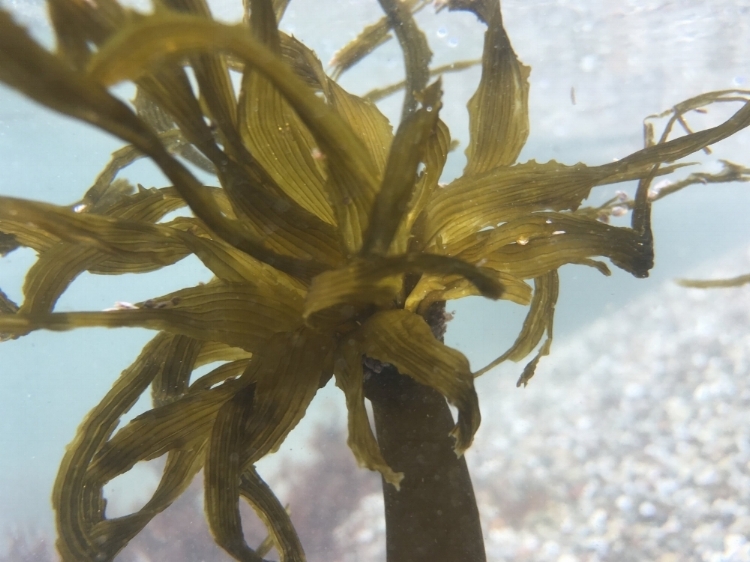 This kelp can blanched, fried, grilled, smoked, as a salad, wrap, or used to steam fish. 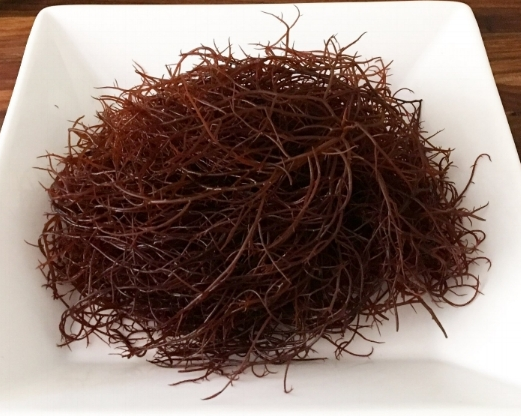 Red Ogo (Gracilaria spp.) 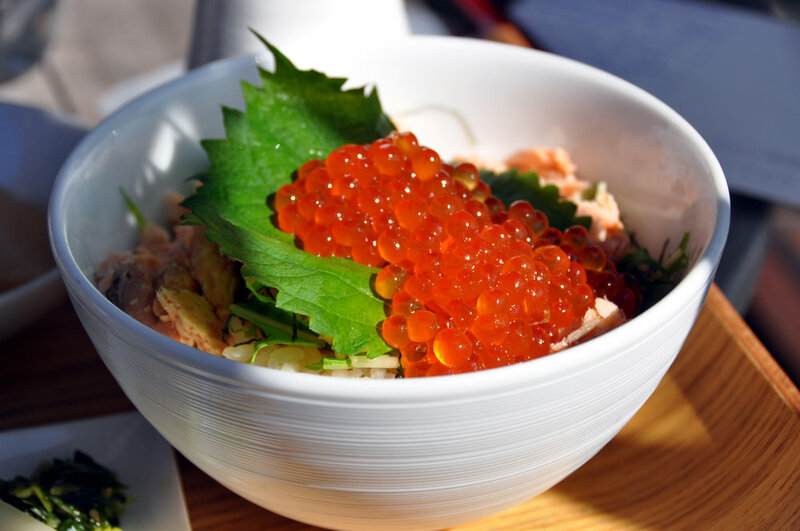 is foraged in calm water found along the Sonoma and Marin Coasts. Most often it is served raw to highlight it's crisp texture and subtle briny flavor. It can also be pickled, fermented in kimchi, and lightly dressed in salads, or used a thickening aid for stocks and sauces. 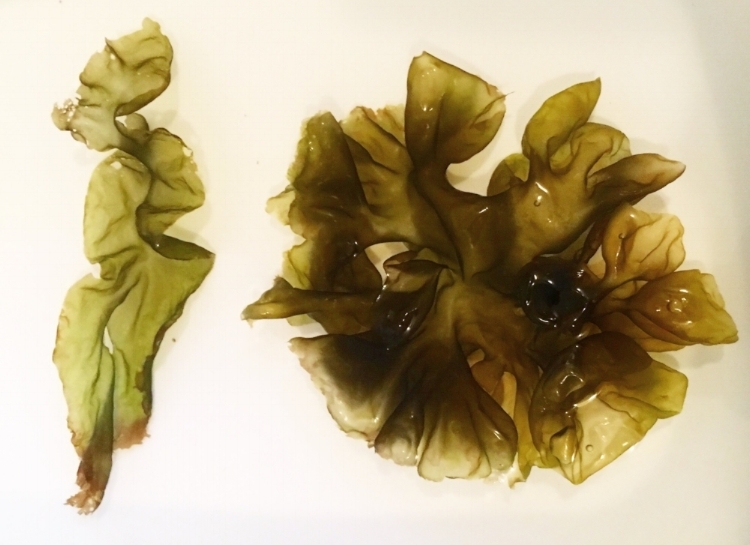 Fresh nori (Pyropia Spp.) has a very subtle flavor with a hint of sweetness. It does well raw, blanched, fried, used to flavor stock, or as a thickening agent in ice cream. Nori turns bright green when cooked. Dwarf Rock Weed (Pelvetiopsis limitata) grows on rocks in the upper tidal zone. Flavors are lightly brine with a crunchy texture. Blanching turns it bright green and enhances it's crunchy texture. 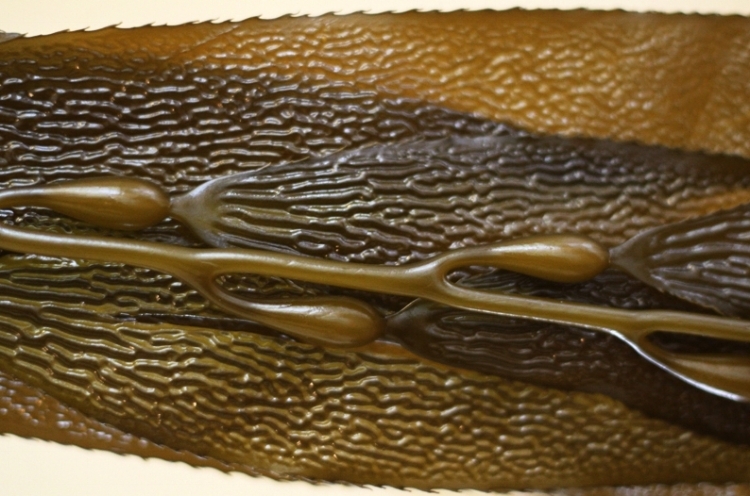 Seapalm (Postelsia palmaeformis) can only be found in the cold rocky water on the West Coast in the impact zone of the waves traveling across the Pacific. 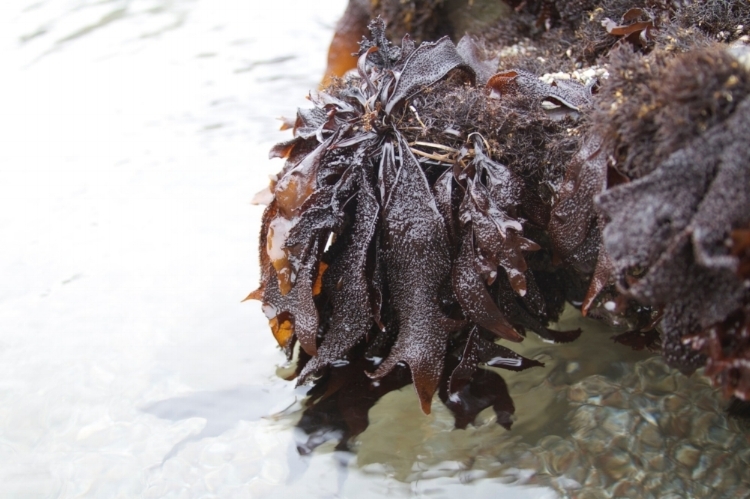 Seapalm is an annual seaweed and completely dies back and regrows each year. The flavor is sweet with a light brine and the texture of the ribbed fronds make it a versatile option. *** Seapalm is protected and CANNOT be harvested unless your are licensed by the State of California to do so. If you happen to find some Seaplam, please DO NOT disturb it.